7 days from £1259pp plus international flights. This holiday takes you to a very special place, between the azure Indian Ocean and rich dune forests, ideal for couples, families and groups of friends, with a wide choice of activities and gorgeous accommodation. The adventure begins as you board the lodge's luxury speedboat at Maputo marina, for the hour long ride along the coast to the Santa Maria Peninsula. Keep a look out for dolphins who enjoy swimming in the boat's wake, adding their own welcome. You'll step ashore on the prefect white beach, to be greeted by smiling staff. Welcome! Over the next few days you'll have ample time to enjoy this wonderful location. Snorkel and dive in the clear waters of Inhaca Marine Reserve coming face-to-face with fish of all colours, seeing amazing coral formations and exploring atmospheric shipwrecks. 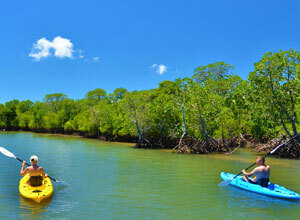 Go for long walks along the beach or in the dune forest, rich in bird life, take a kayak into the mangroves and estuaries to glimpse these unique environments. Board the lodge's dhow for a romantic cruise, savour a picnic on a deserted beach, and catch you dinner on a fishing trip! 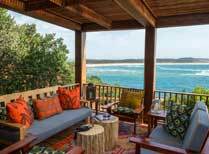 At Machangulo Beach Lodge you can laze on the beach or by the pool, with a choice of sun or shade as you wish, and with the prospect of a refreshing swim just a few footsteps away. Enjoy a tasty snack or salad for lunch at the cheerful beach bar, and in the evening feast on fresh fish, crab, calamari and prawns at the restaurant, washed down by your choice fine wine. However you spend your days you'll have a wonderful beach holiday, and you'll leave with happy memories and photographs to treasure. You'll fly to Maputo airport. On arrival you can take the free Polana Serena Hotel shuttle bus to this luxury hotel for your first night in Mozambique. Built in 1922 this is definitely the 'grande dame' of Maputo. Dependant on your arrival time, take time to wander around the fascinating city of Maputo. This morning (time depends on the tides) driven the short distance to the marina, where you board a speedboat bound for Machangulo Beach Lodge. This exciting journey takes about an hour and a half as head east, and towards the end you may encounter dolphins! 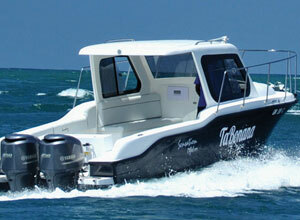 The boat will take you right to the beach by the lodge, your home for the next 5 nights. Relax after your journey, settle in to your room and get your bearings. Sit on the deck overlooking the beach as you enjoy a long, cool drink. Tonight you can dine on fresh fish and seafood in the restaurant, complimented by your choice of wines. Full board. 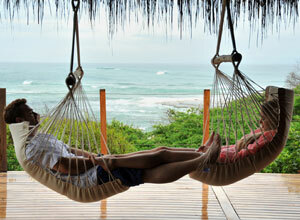 Wake up to the sound of birdsong and walk out to the deck where you'll get views over the beach and ocean. Simply stunning. Have a relaxed, al fresco breakfast, as you look forward to the next few days. You won't be able to resist the water for long, ideal for swimming, snorkelling and scuba diving. 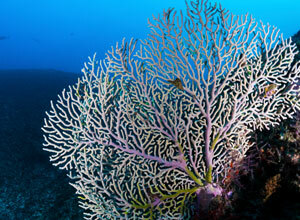 There are beautiful corals and myriads of brightly coloured fish in the dazzling and fascinating underwater world. If you're here with children there's a Kiddies Club with a special programme of activities to keep young ones engaged and entertained, while you relax or explore. Breakfast, lunch, dinner. By now you'll be settling into life at Machangulo, beginning with a leisurely breakfast as you contemplate the day head. Today you might want to take out one of the lodge's canoes, both single and double-seaters are available, for some gentle paddling along the estuaries and among the mangroves by the lodge. The scenery contrasts with that of the beach and it's good to experience another aspect of this special location. Treat yourself to a lazy afternoon by the beach, where you'll find loungers and umbrellas, and later enjoy the ultimate relaxation of a massage administered by one of the lodge's therapists on your private deck. Breakfast, lunch, dinner. Why not start the day with a stroll along the beach, feeling the sand between your toes and the sun on your body. Look out for crabs in rock pools and birds in the trees flanking the strand. Later you might like to try your hand at fishing on a boat trip into the bay. Your expert guide is on hand to offer assistance and may help you land an impressive catch. Or maybe you'd prefer to take a walk in the dune forest, camera in hand, to capture and preserve precious scenes and memories. Have lunch at the beach bar, chatting with other guests, and spend the afternoon topping up your tan on the beach. Breakfast, lunch, dinner. Price notes: 2019 guide price from £1259 pp sharing. This holiday starts and ends in Maputo. International return flights from the UK start from around £1100, depending on season and availability. We usually book these for you. Departure dates: This is tailor made holiday and can be taken on any date you wish subject to availability. 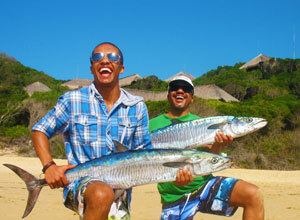 Mozambique is a year round destination, though the rains last from December to March. The capital city of Mozambique and cosmopolitan hub of the country with easy access from South Africa and a range of accommodation and activity options. 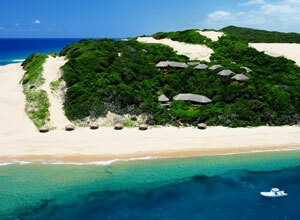 Escape to stunning unspoiled coastal wilderness south of Maputo.